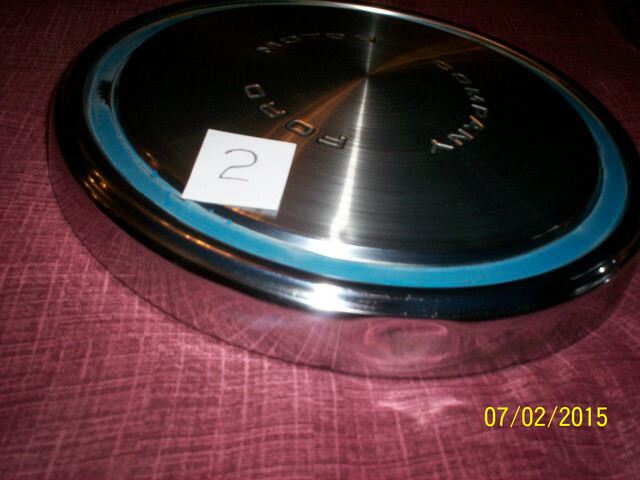 looking on ebay for dog dish hubcaps, but I seen two different depths 1 inch and 1 7/8 depth. which is correct? 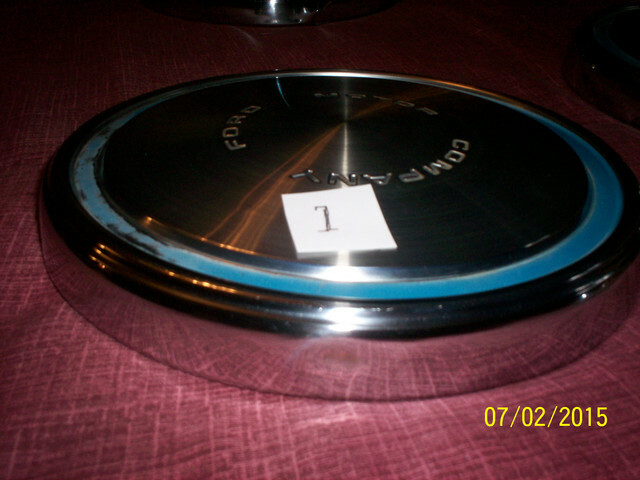 (10-14-2018, 05:03 PM)164runner Wrote: looking on ebay for dog dish hubcaps, but I seen two different depths 1 inch and 1 7/8 depth. which is correct? 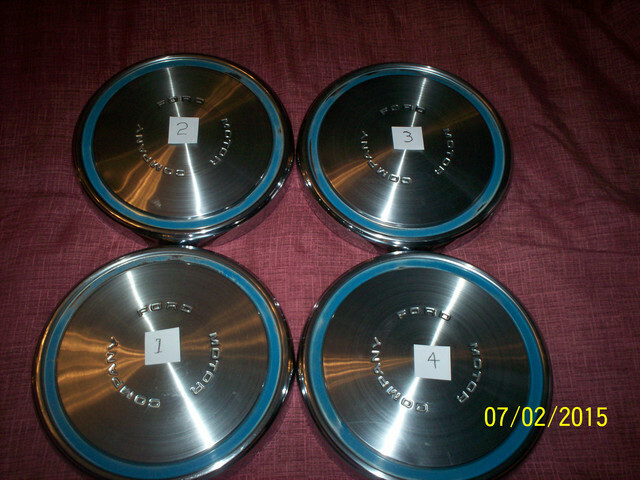 I sold this set of Sprint hub caps to member for $60.00 for all. Maybe you can look and compare pic I do not have a measurement. I do know sprint because of the blue in the cap and not black. I have a set listed on CL. They're about 1.25" tall at the edges. Came off a 71 Mach 1. 164runner, I'm still out of state so I don't have access to mine to measure. The difference in the caps is whether they were used on a trim ring or non trim ring application. 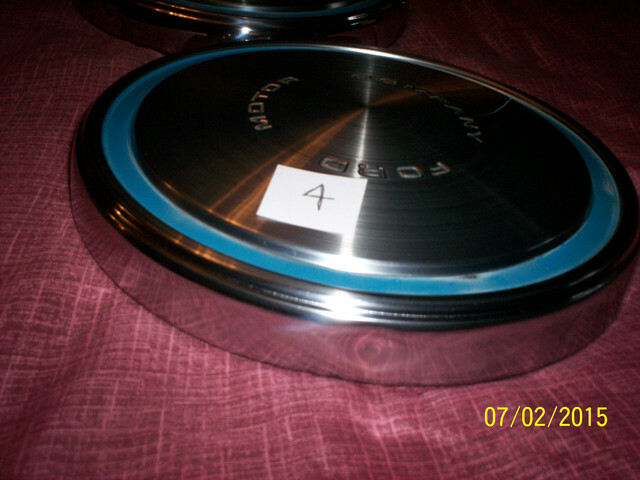 The DOAZ-1130-H (DOAA-G, D2AA-AA) had a plain chrome finish and was used on applications where no trim ring was used. (Base model cars, fleet cars such as police, taxi, rental, etc) These may be the shorter ones since they did not have to match the inside diameter height of a trim ring. 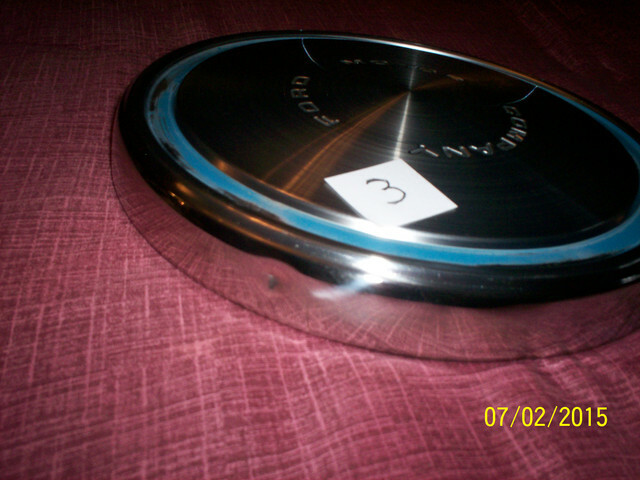 The DOAZ-1130-G (DOAA-K, DOZA-J) was used on applications where a trim ring was used and had a brushed finish which also matched the finish Ford used on the trim rings. (As used on Mustangs and Torinos that were not base level cars) This cap was replaced with the D5DZ-1130-B (D5BA-AA or BA) which also has a brushed finish. Since most of the ID labels are either missing or illegible on the used versions, hopefully you can use the part numbers I listed to help you ID them if the seller lists a part number for the ones they are offering. There were two different trim rings used on the 14" wheels. DODZ-1210-A (DODA-A or B) was used on the 14x6" wheel. DOZZ-1210-B (DOZA-B or E) was used on 14x7" wheels. 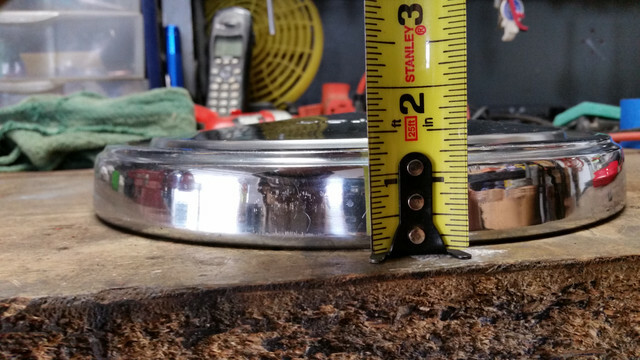 These trim rings show up occasionally on E Bay and are much easier (and affordable) to find than the 15" rings used on the 71-72 Mustang 15x7" rim.